Wednesday week, 20 March, we kick off the 7th National Early Literacy Conference with a special 2-hour symposium presented by @Curtin University and @dyslexiaspeld. Dr Mark Boyes will be discussing new socio-emotional research into the development and impact of language and literacy difficulties in children and adolescents. While DSF will present on some incredible work they have done addressing phonological awareness in local languages. So register now! It would be great to see you there. 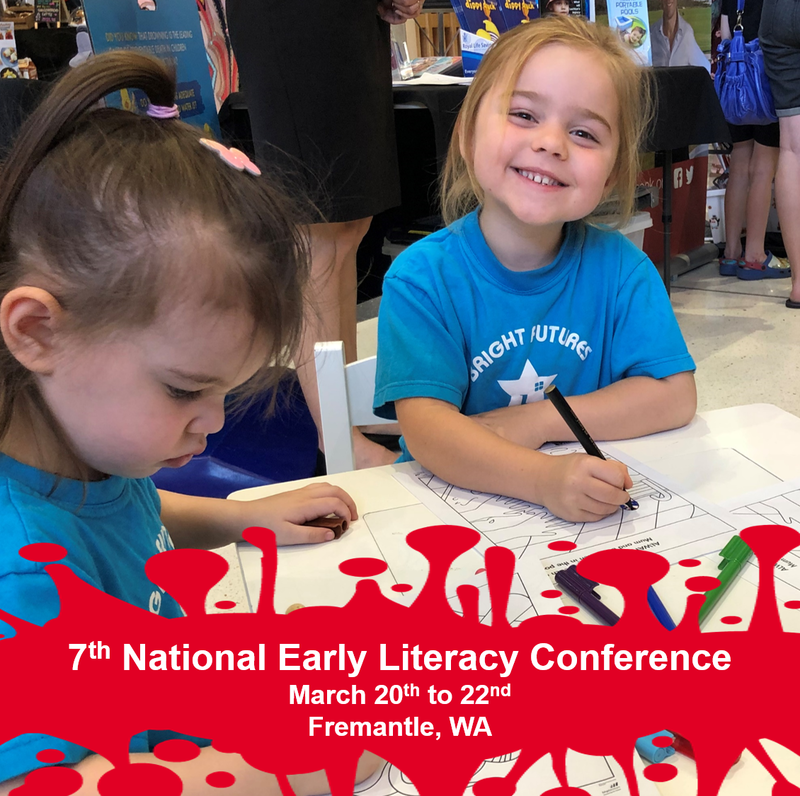 Have you registered yet for the 7th National Early Literacy Conference? Don’t miss the chance to hear from the Commissioner for Children and Young People WA, Colin Pettit. The Commissioner will outline the work of his office in consulting with thousands of WA children and young people on issues affecting their wellbeing and how the views of the children themselves should be used to inform and challenge current thinking on factors that influence vulnerability. We are thrilled that the Honourable Kim Beasley AC, Governor of Western Australia, will be opening our 7th national early literacy conference on Thursday 21 March 2019, following Marie Taylor’s Welcome to Country. Register now for this innovative, research based (and fun) conference. The theme for this year’s conference is Books and Bonding Builds Brains — it’s what the Doctor orders. well represented by Cr Romola Hollywood, who welcomed delegates at a Civic Reception, Hon Susan Templeman, who opened the Conference with Aunty Carol and Aunt Jacinta, and Trish Doyle MP. who opened our Principals Forum. Thank you to our Keynote Speakers, Aunty Jacinta Tobin, Dr Marina Kalashnikova (Western Sydney University), Dr Amanda Howard (Newcastle University), and Kerry Dominish (CEO – Early Start) and the 30 workshop presenters. And our Conference Dinner wouldn’t have been so successful without the Blue Mountains Ukulele group and the generosity of Carrington’s Brewery! Climb every mountain: songlines and singing. Paint the Town REaD Ltd together with our co-host, Paint the Blue REaD invite people interested in early literacy, children’s singing and collective impact in Aboriginal and/or mainstream practices to attend this Conference. We will be meeting on Darug and Gunungurra traditional lands. Registration for this exciting event is now open. Click here to find out more. 2017 Conference Sponsorship Now Available! We have celebrated an inspiring Conference with 200 delegates from across Australia. Many delegates have already reported back on what they are planning and have already implemented from the Conference. Conference highlights included a workshop for Mayors led by Wollongong’s Lord Mayor, Gordon Bradbery, inspiring keynote speakers, fun and thought provoking workshops, creative posters and many opportunities to network and share ideas and enjoy Wollongong’s warm hospitality. Many many thanks to Paint the Gong REaD’s Conference Committee partners, led by the irrepressible Tracey Kirk-Downey, Wollongong City Council’s Children’s Services Manager, and the hardworking University of Wollongong and TAFE student volunteers. You can now download Conference presentations from the 2015 Conference tab. 2015 PTTR Conference: register now! ’s 5th National Conference, Making Waves — Early Literacy and Collective Impact. 25–27 March 2015 in Wollongong, NSW. The Conference is registered with BOSTES as a professional development accredited course. Download the BOSTE Accreditation details.